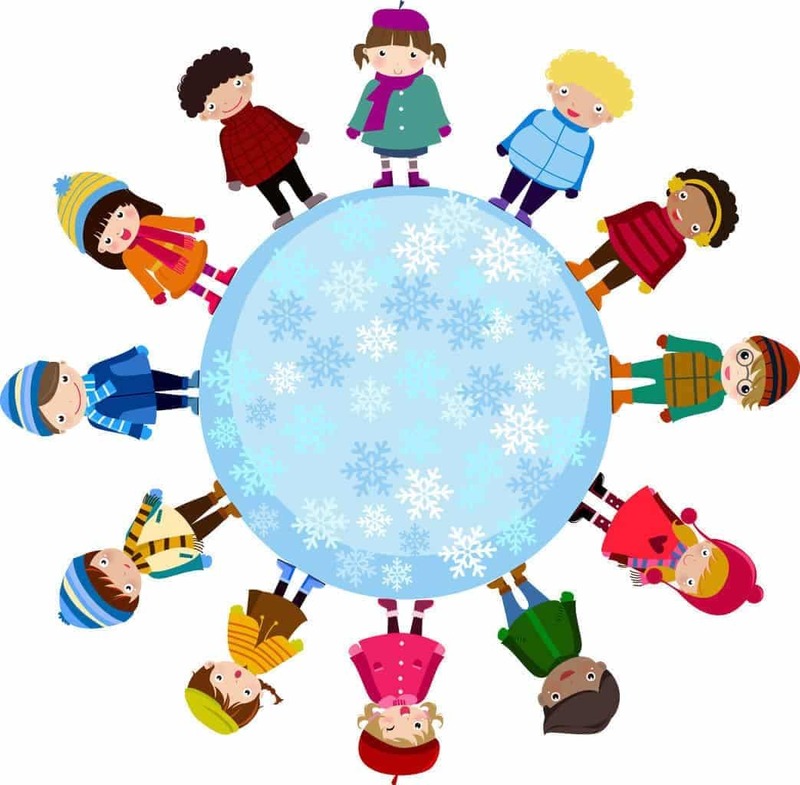 First Day Of Winter song activities for preschoolers through second grade. The snow is falling down, the snow is falling down. Great big white flakes that do not make a sound. Let’s sing a winter song. It freezes noses, ears, and toes. Put on your coat, your hat, your gloves, Winter now is here. You put your winter hat in…. You put your snowsuit (whole body) in…. and it’s time to ride a sled! Teaching little ones to “zipper” is a trying task especially when winter comes and you’re getting ready to go out to play in the snow. During circle, choose a child’s coat. Show them the two parts of the zipper, the insert (the baby’s feet) and the zipper (the Bed), and practice zippering using this poem. Put the baby’s feet in the bottom of the bed and pull the covers right over his head. This usually takes a few times for them to catch on but you will find them repeating the poem to you or parents. Our preschool is a special needs program where most of the children have language delays. We made up this winter song to help develop language skills. Put a pile of winter clothing into the center of the circle. (boots, hat, mittens, snow pants, scarf, etc. As you sing name the body part, let the children pick out the correct article of clothing to finish the verse. For example, if you say feet…they would pick boots. We did this at circle time with child-sized clothing and as we sang, the teacher “put on” the clothing. The children found this very funny. So we can go outside to play. I have visuals hanging up on the wall with numbers, so we can point to what comes next. It works well with 3-year-olds. Come sing a song of winter, of winter, of winter, Come sing a song of winter, the cold days are here.